Colostrum is just as vital to calves as it is to newborn babies. We all know that it contains essential immunoglobulin (Igs) to strengthen immunity and an unmatched energy level. In this article by Hoard’s Dairyman, Maggie Seiler quotes Mike VanAmburgh of Cornell University to discover why colostrum is a must for calves. Colostrum is important because it is filled with signalers/growth factors that help the calf achieve optimum success. Colostrum contains IGF-1, insulin, prolactin, and leptin. VanAmburgh thinks that Igs are not the main reason that calves should have colostrum. He says that calves can build their Igs, but there are other essential things they must get from their mothers by way of colostrum. 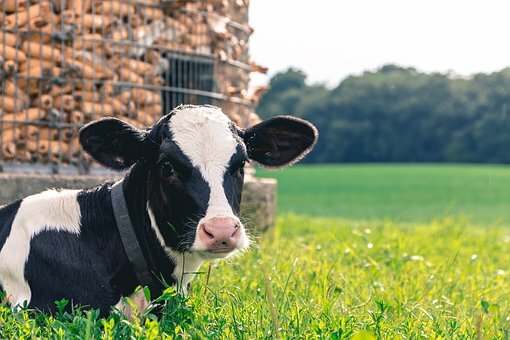 “Colostrum-borne growth factors such as IGF-1 or hormones like insulin might act through specific receptors in the gut mucosa of the neonate to stimulate cell proliferation, cell differentiation, and protein synthesis,” VanAmburgh said at the Four State Dairy Nutrition and Management Conference. “So it helps the gut grow. The gut is the largest immune system in the body; it’s a barrier for everything the animal swallows,” he explained. You will find the link to the article here.